The NASA/ESA Hubble Space Telescope observed Saturn on June 6. Cassini spent some 13 years orbiting Saturn before plunging down and slamming into its atmosphere. During its final orbits, the spacecraft dove between the planet and its rings. That let scientists measure the gravitational effect of the rings and get a good estimate of the ring material's mass. 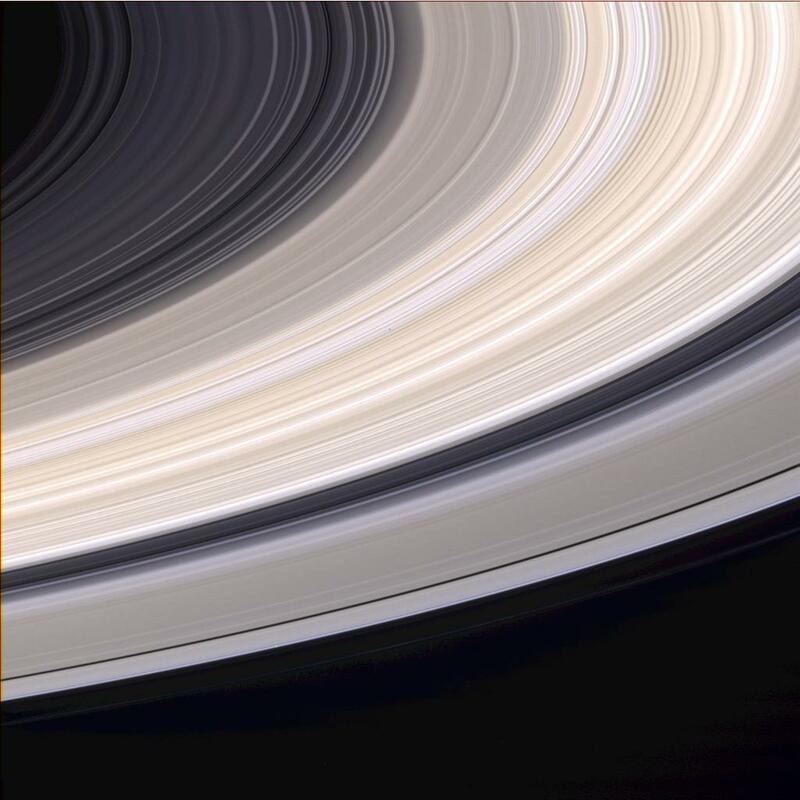 Cassini spacecraft captured this natural color view of Saturn's rings on June 21, 2004. This small mass suggests that the rings are relatively young. That's because the rings seem to be made of extremely pure water ice, suggesting that the bright white rings have not existed long enough to be contaminated by the bombardment of messy, dirty comets that would be expected to occur over billions of years. Some scientists thought it was possible that darker debris from comets might lie beneath the bright ice, undetectable to their instruments, but this new study shows that isn't the case. "There's no huge amount of massive material hidden in the rings that we can't see," says Philip Nicholson, a planetary scientist at Cornell University and one of the study's authors. "The rings are almost pure ice." 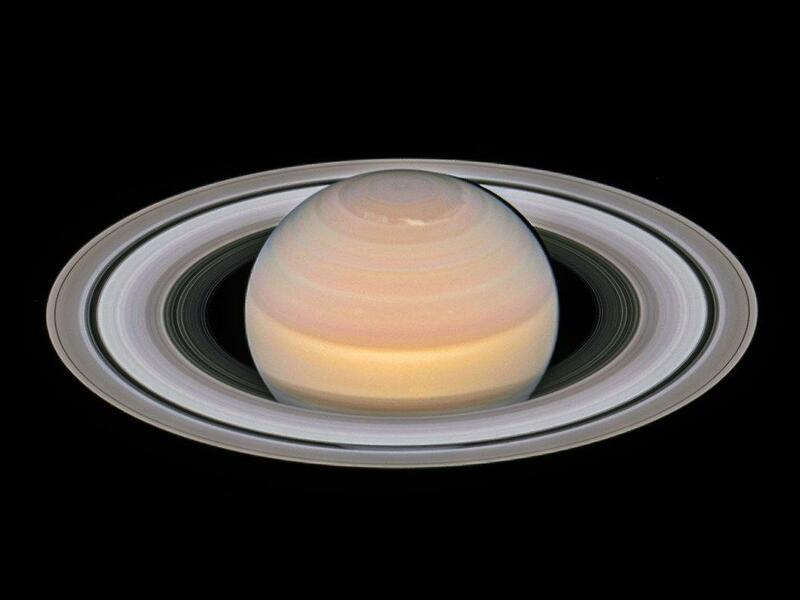 He says the relative youthfulness of Saturn's ring system is something that scientists have come to suspect only recently. "It was easier to believe that it formed at the same time as Saturn and its satellites did," Nicholson says. "It's hard to understand how they could have formed that recently." It's possible that the rings are the remnants of a comet or some other icy object that made a chance encounter with Saturn and got ripped up, he says. Or, perhaps one of Saturn's icy moons got whacked by an impact with a large comet.